We organized a free flower arranging table at a nonprofit’s community festival. 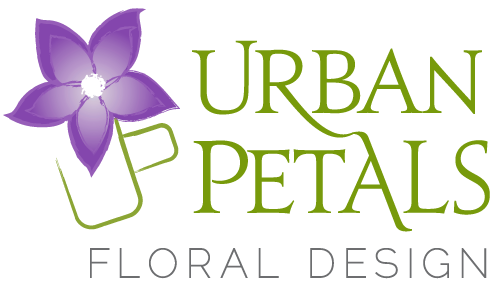 Urban Petals creates one of a kind floral designs for every event. We believe that each event deserves personal attention. Taking into account the client’s vision, taste, budget, and location we provide a variety of concepts. Color, texture, shape, availability, and sometimes even the name of a flower interplay in this process. See our Portfolio page for photos and descriptions of our work. Urban Petals donates floral arrangements after events. We believe in the power of flowers to brighten lives. Once the event is over, we return to gather the arrangements and deliver them to nonprofit organizations, bringing joy to the people they serve and to the staff who work so hard to help them and their community at large. Our “lunarium” for a July 4th party at the Kennedy Center commemorating the first moon landing. Additionally, we donate our time and materials to conduct therapeutic flower parties. We do the same for the staff of nonprofits we visit to provide a creative outlet and much deserved break. We also provide centerpieces for fundraisers at reduced cost and raise money for nonprofits through benefit flower parties. For more information, please don’t hesitate to contact us at ask@urbanpetals.com. Flowers bring events to life!